Volume Two - The Era of Optimism, Investment & Development - The demise of H.M.S. Exmouth at Penarth Dock - 1905 . . .
Royal Hamadryad Seamen's Hospital - by J. L. Wheatley, Town Clerk, Cardiff - The Old Hamadryad Ship. 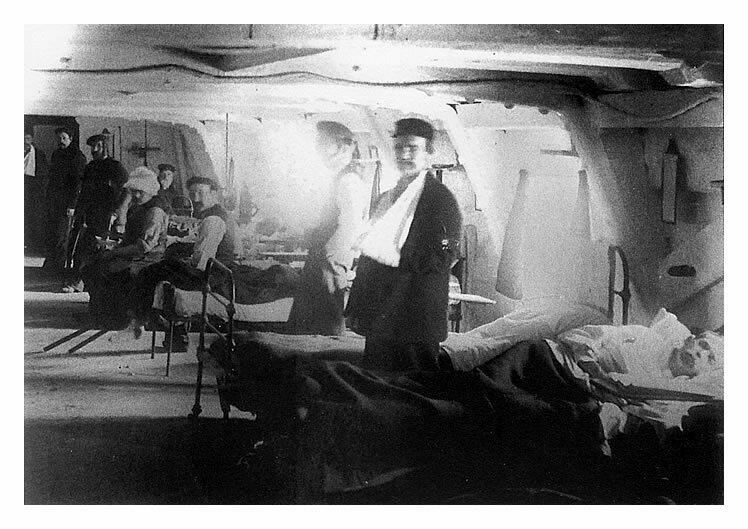 - 'Prior to the 1st November, 1866, there was no Seamen's Hospital at Cardiff, and sailors were treated at the Infirmary or at the Union Workhouse. Early in 1866 the matter was taken up and representations were made to the Admiralty, with the result that the Frigate Hamadryad, then lying at Devonport, was lent by the Government as a Hospital for Seamen of all nations. 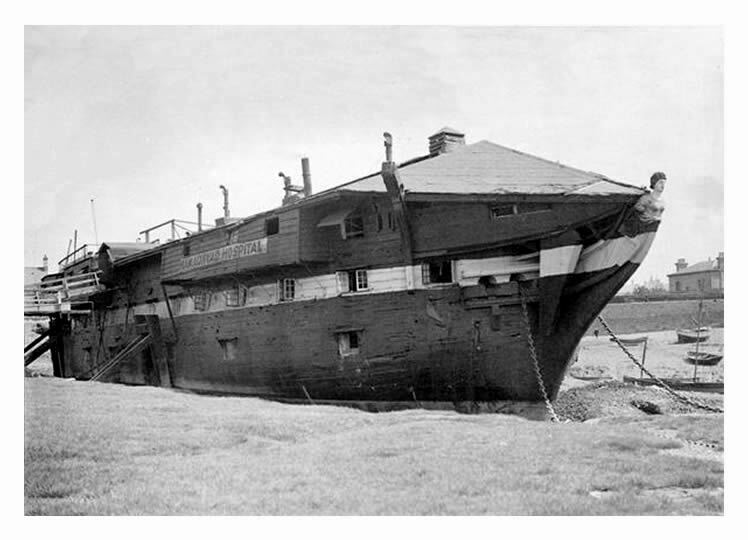 The Hamadryad was built at Pembroke Dock about 1840, and was subsequently taken to Devonport to be fitted out. She was, however, never completed for service. 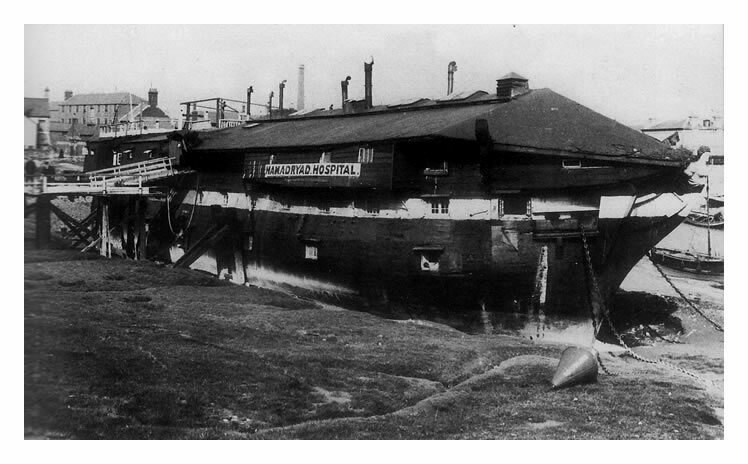 On being towed to Cardiff she was placed in the East Bute Dock and fitted up as a Hospital with accommodation for 50 in-patients, at a cost of £1,414. In 1867 the ship was removed from the East Dock to a site given by the late Marquis of Bute to the west of the entrance to the Glamorganshire Canal, where she remained until the opening of the new institution. She was subsequently sold and broken up.